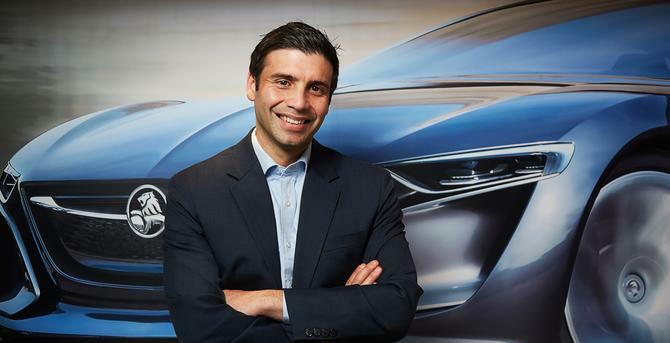 Holden’s Kristian Aquilina is the first to admit the situation he finds himself in as brand promoter isn’t one you’ll find in a marketing textbook. The executive director of marketing arrived back in Australia in April, tasked with helping rejuvenate the A/NZ GM Holden brand and rebuilding its market might. It’s no small feat. Holden’s reputation suffered a hefty blow after closing down car manufacturing in the local market last October, 69 years after rolling the first vehicle off its production line. By March, the automotive producer was posting its lowest sales and smallest market share since 1948, even as industry figures suggested the new-car market surged forward in the early months of 2018. Aquilina, who was managing director of GM Holden’s and Isuzu New Zealand operations prior to crossing the Tasman, and who boasts 20 years’ experience in the General Motors (GM) business across sales, marketing, product management and government relations, says building internal faith has been a vital first step in a robust long-term brand turnaround strategy. “We’re setting ourselves up for a turnaround in brand sentiment and performance from a sales perspective. Our MD has stressed awareness, contribution and I’ll add desirability as important outcomes of the work we are trying to do,” Aquilina tells CMO. It was also clear employees and partners were looking to marketing for support and to spearhead understanding internally of where the brand is going and what Holden wants to achieve, Aquilina says. “This is even without having all the answers. Just that fact it can be better is what people were looking for,” he says. “That was important to do with the entire dealer network and their staff, 1000s of people, who were looking to marketing to lead the rejuvenation. One of these early things Aquilina hopes will restore brand faith is the launch of the new Acadia SUV. Kicking off in November, the new ‘Arrives’ above-the-line campaign is a significant initiative aimed at building Holden’s brand awareness and consideration in the larger SUV category. Aquilina describes the plan for Acadia as “the inverse of your optimal marketing and brand strategy planning”. It’s also been launched ahead of nailing down the broader brand strategy for Holden going forward. A fair amount of intuition and judgment therefore had to go into the mix to get the campaign out in market, Aquilina says, along with insight into what’s worked and not worked in the past. “We have the understanding of the brand, the culture in which it operates, and there’s been a lot of input from stakeholders associated with brand, plus a bit of test and learn along the way,” he says. A range of nuances had to be considered. For instance, the Acadia is Holden’s first genuine entry into the large seven-seater SUV. “Holden is famous for its dominance in passenger cars. Now we’re coming into this car launch as a challenger in what has very quickly become the dominant segment, displacing the passenger segment that’s been so key to our history,”Aquilina explains. And of course the launch had more weight in terms of cultural importance. “I’d love it if it was as simple as a new nameplate and product people haven’t seen – then we’d just have to come up with some way of growing awareness,” he says. A key decision was to build momentum well ahead of the first Acadia car arriving locally by getting hold of 180 pre-production cars, enough for nearly one per dealership nationally. “That gave us reasons for people to come ahead of the mainstream launch to sample the new product and satisfy any curiosity we could create in the lead-up,”Aquilina says. Bringing franchises and dealer into the tent early on in developing the launch strategy, the tonality of the campaign, putting ideas on the board, and testing ideas was also vital and not something Holden has been known for before. “Getting the Acadia product and campaign out helps to speak to where Holden is heading and has been an important component of restoring confidence and belief in what this brand is capable of,” he adds.